Everything you need to maximize swing speed and drive distance. Workout and conditioning protocol - detailed, written instructions on how to use the set to get the maximum benefits and results. Clear and easy to follow instructions. Follow the protocol and you’ll see a nice increase in your swing speed and driving distance. Get started as soon as you receive your set. Guaranteed! This set is identical to the original Velocity Shaft™ set but with shorter shafts that are more appropriate for athletes aged 9-14 years old. It also works great for those 50 and older that have lost flexibility due to the natural aging process. TPi Members Discount - Get 20% off the Velocity Shaft™ Set! 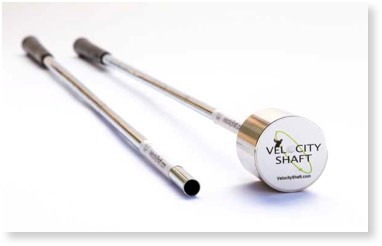 Certified TPI instructors can purchase the VELOCITY SHAFTS™ and training protocol at 20% off. Simply enter the TPI Alliance Code* as well as your TPI Certification level before buying. Login into mytpi.com and go to the Alliance partner page. There you will find the Velocity Shaft™ information and the Alliance code. Paypal makes it easy to buy online safely, securely. We also accept credit cards if you prefer. Choose your method of payment when you checkout. If you are unhappy with your purchase of the Velocity Shafts, you may return the undamaged product for a full refund of the product price within 30 days. Use the Contact Form on the website to request return instructions.